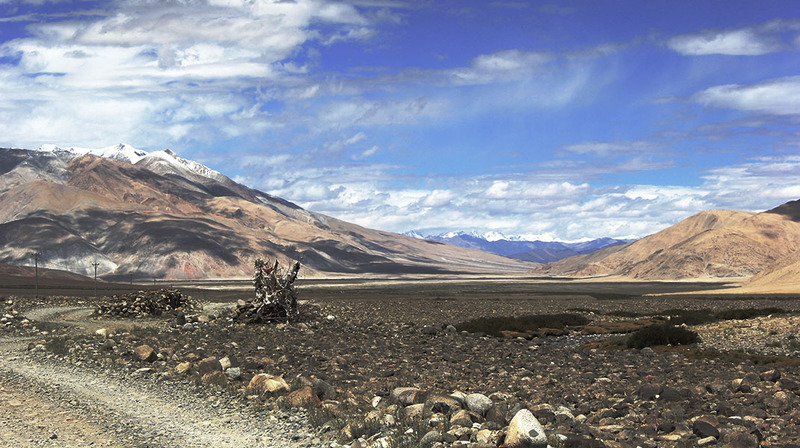 Eventually one fine day we started our journey on this less travelled road. On the first day we drove on paved roads and reached the beautiful village of Nyoma. We stayed for the night in Nyoma. Next morning we stared our journey early and reached Loma, where our permits were checked and we were authorised to venture into the Chushul valley. The valley was barren and desolate. After an hour’s drive the valley begin to widen, and there was no clear road. There was only a dusty track which used to disappear at places.To navigate the route you had to follow the tyre marks of vehicles. In the distance I could see a solitary stucture in the horizon. As we came closer it was a war memorial. The name of the place was Rezangla. 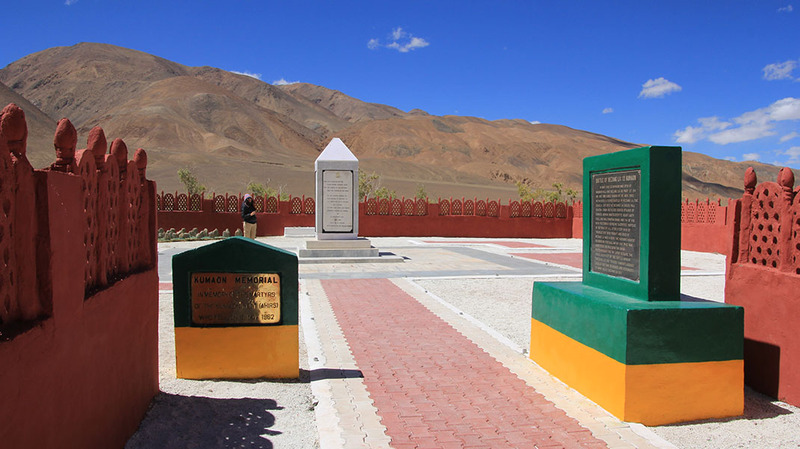 We met a few soldiers of the 13 kamaon, who had come from the unit base at Chushul to maintain the memorial. They were very happy to see us. It was during the interaction with them I learnt about the great battle of Rezang La. They narrated to me the story of the war fought here. 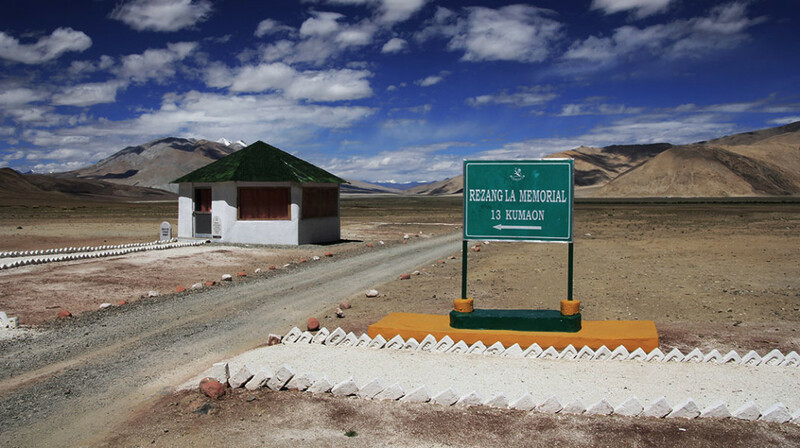 Rezang La was witness to one of the bravest battles fought by the Indian soldiers. 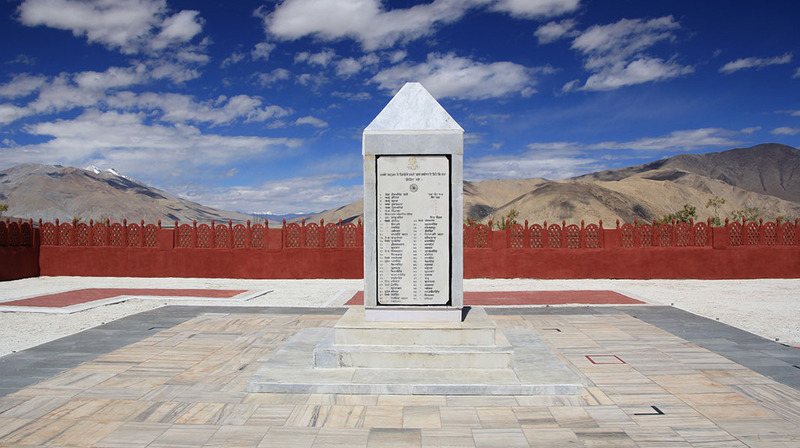 There is a war memorial of the 114 brave soldiers of the C Company of 13th Kumaon regiment , who fought till their last on November. 18,1962. 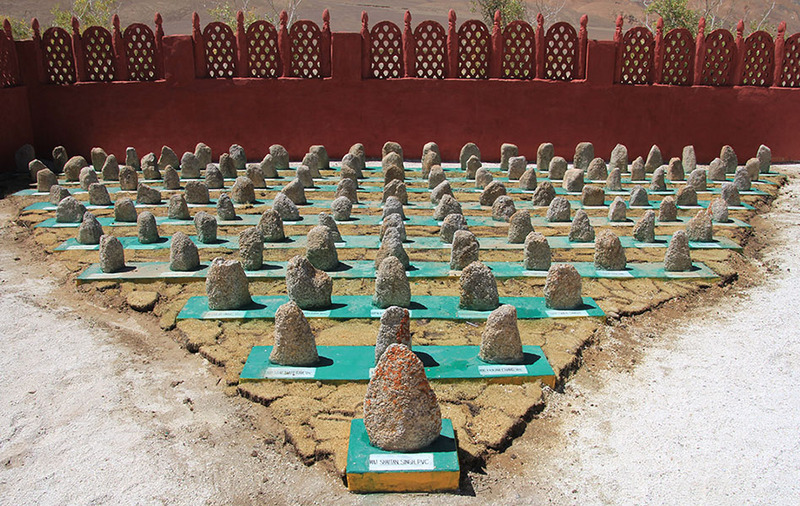 The Company was headed by Maj. Shaitan Singh, whose supreme courage, leadership, and exemplary devotion to duty inspired his company to fight almost to the last man.Most soldiers died with guns and grenades in their hands. The soldiers had to fight without artillery backup because there was a feature which came in the way. 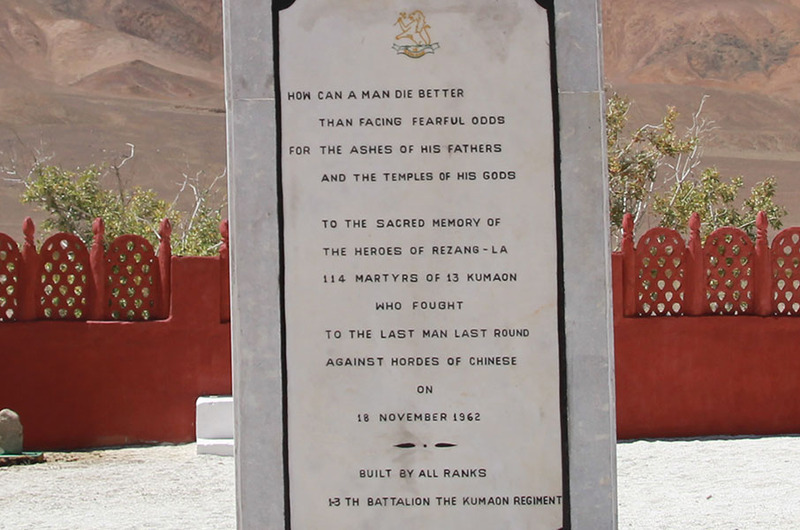 Built by All Ranks of 13th Battalion, The Kumaon Regiment”. It was a great feeling to be here, and stand where the great battle was fought. It was quite a sentimental moment for me. i could imagine the scenes of the war in my mind. The sun was getting low, and it was time to move ahead to the next destination Merek, which is on the banks of Panggong Tso. We paid our tributes at the memorial one last time and moved ahead. As a traveller , I have always moved ahead, exploring new places , but Rezang La and it’s stories of it’s brave soldiers has left a deep impression on my heart.